Burn Money on Electric Bills- Dirt accumulation in the coils reduces your system’s efficiency. For an average operation, your A/C uses 30% more energy than it needs and it can make a big difference in your electric bill. Reduced Comfort- Aside from giving you a financial headache, dirty condenser coils also make your home an uncomfortable place to stay. Since the main function of these coils is to release heat outside so that the refrigerants can cool down, expect that it will be less efficient in its function when it is surrounded by dirt and dust. So what comes next? You will not have enough cooling inside your home. More Prone to System Breakdown- Air conditioning units are great investments, and everyone wants to get the most of it. 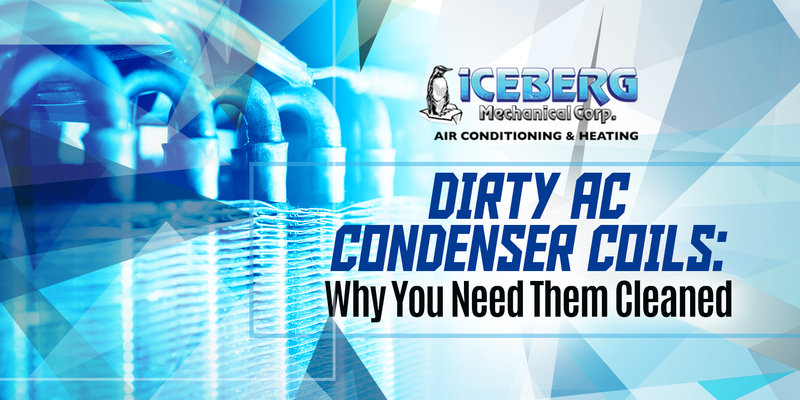 Dirty condenser coils, however, hinder the proper operation of your unit, so it takes long hours to cool your home. This can result in increased wearing and tearing of the components of your system. With this, you will be at risk of system failure and break down any time in the long hot summer days. Early System Replacement- Negligence of A/C condenser coil cleaning can ruin your compressor. We all know that this is a serious problem to deal with. Most of the time, homeowners with this kind of problem are left with no choice but to have their A/C replaced long before its estimated lifespan. Even if repairing is still recommended, you still need to spend big time on the service. All these can be prevented by taking the initiative to clean your coils. We cannot blame you for being hesitant to schedule a condenser coil cleaning service. Truly, there are companies out there which will try to convince you to set an appointment even if the coils are not yet dirty just to gain profit. With this, we advise you to hire the right professionals in the field of HVAC to save yourself from the bait and switch pricing for the service. Good thing, if you are living in the New York City area, you have a trusted HVAC company to call. Iceberg Mechanical always has your back when it comes to HVAC services. Set an appointment with us today!